Dubai needs to diversify its sectors to weather future economic risks, according to experts. Dubai needs to diversify its economy further and attract the best talent to retain its competitive edge in the Middle East, according to experts. Speaking at a panel discussion at Emirates Airline’s Festival of Literature, experts said that the emirate should work on retaining its competitive advantage as other countries in the region build to rival Dubai’s developments. “Dubai has the tallest building in the world but not for long as others are building…It will happen…you have to be aware that the competitive advantage never lasts,” said Morgen Witzel, a management expert and the author of ‘Management from the Masters’. Dubai’s house prices plunged more than 50 per cent in 2009, causing it to nearly default on its debt as the emirate reeled from the effects of the global financial crisis. With the resurgence of house prices, economists have warned of an impending property bubble in the emirate. But experts have said that diversification will be the key to protecting the economy from another market crash. “What makes me positive in cases of Dubai is that it has been very willing to try things that others would not do like setting up the Jebel Ali port and the Emirates airline,” said Ha-Joon Chang, professor of economics at Cambridge University. Regional economists emphasise that regulating inflation and controlling liquidity would be instrumental in making the UAE’s economy resilient to crises. “One of the key problems with Dubai crisis was a liquidity challenge,” said Shady Shaher, senior economist at Standard Chartered, MENA. He added that the UAE’s policy regulators were also new to the boom that was taking place. “If you look at the entities within Dubai that borrowed in the past, lot of borrowing was actually done short-term,” said Shaher. 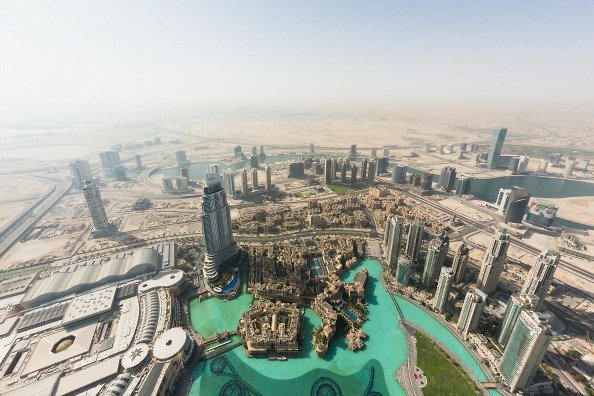 But the economist said that post-2009, a number of Dubai firms are being realistic about funding, with many of them aligning their repayments to a feasible date. Dubai’s Department of Finance said in a recent research paper that it has learned the importance of budgetary discipline and property market regulation after the crisis. The department listed 11 lessons, out of which several are related to the property market, including the need to register real estate deals and prevent harmful speculation, and the importance of regulating the rental market to “keep it within permissible limits”. Dubai’s Property Market Is Back… But Is The Greed Too? Expo 2020 Win: Will Dubai’s Rents Rise?